One reason I came to the Grossman Hart + 25 conference was to catch a glimpse of Sandy Grossman and see what he had to say about his research. Grossman resigned from Wharton and has been running his own hedge fund for the last 25 years. I have never met him and my generation and younger know him only from his fearsome reputation. I did not get to speak to him so I cannot testify to his testiness. But some sense of his breadth came across. He offered his current view on ownership and control which was typically idiosyncratic. He pointed out that human beings cannot will themselves to stop breathing. A safety mechanism overrides the conscious, deliberate decision hence an individual who has “decision-rights” over his body does not have “control rights”. And what holds at the level of the individual holds a fortiori at the level of the firm – the owner of an asset does not have necessarily have control rights. Apparently, in his spare time, Grossman reads about the working of the brain and also theoretical physics. There is an infamous story about Grossman remodeling his house. Having worked on incomplete contracts, Grossman was extra careful to write a contract so there was no wiggle room for the contractor to hold him up. Inevitably, they fell into dispute. The judge said that with the contract that is normally signed he would have sided with homeowner in this kind of dispute. But since a non-standard and rather complex contract was written, the contingency under dispute must have been considered and dismissed. Hence, the judge found in favor of the builder. In other words, Grossman’s attempt to write a complete contract backfired and hurt him in the contract dispute. I didnt know Sandy Grossman was the lead singer of Midnight Oil. OK, your iPhone picture is too blurry. We want the straight dope here, since Sandy was so legendarily smart and edgy. The important questions: was he bald or balding? gray or dyed? well-dressed or casual? And was he still quick-witted and perhaps snap your head-off or mellow yellow? Did he believe in economics, or think it was youthful mental master-of-your-domain before he got onto the real business of life? He seems to shave his head a la Michael Jordan but because he is balding not because he wants to be aerodynamic and athletically undisturbed by hair. I think he is a believer not a mental masturbator – some things that were said about and by him suggested this (I will blog about Oliver Hart’s speech and this may clarify). He appeared and disappeared without fanfare and only attended part of the conference so I never got a chance to chat with him. I would say the first Google Images photo of him looks pretty accurate. The second one (with the mustache) doesn’t look like him at all, though it’s clearly still him. 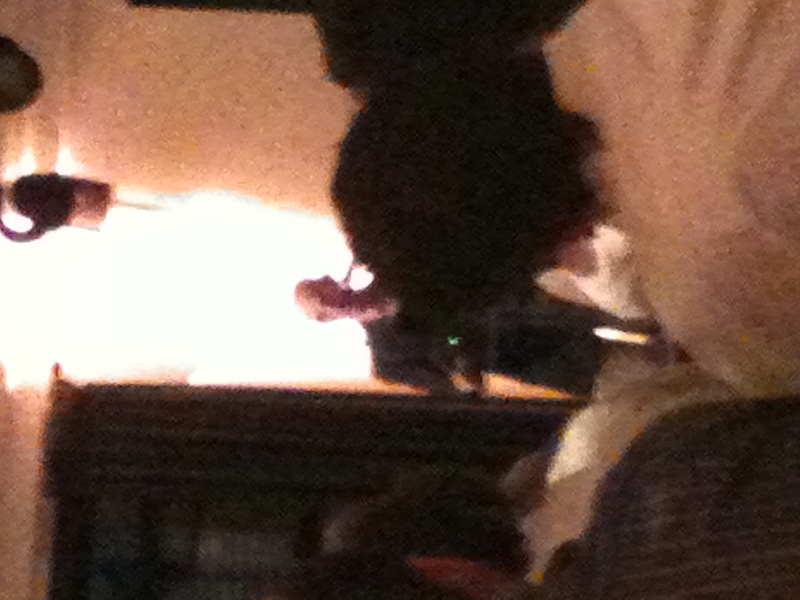 My own blurry photo of him indicates less hair than in the Google Images photo, but not none.